It is most regrettable that, due to illness, I am not able to attend this State Banquet to offer my words of welcome in person to Your Majesties the King and the Queen. I would like to express my sincere apologies. I have asked the Crown Prince to read my words of welcome on my behalf. I wish to extend a heartfelt welcome to Your Majesties King Jigme Khesar Namgyel Wangchuck and Queen Jetsun Pema Wangchuck of the Kingdom of Bhutan on the occasion of your State Visit to Japan. Initially, we were scheduled to welcome Your Majesty the King as a State Guest in May this year. However, because of the Great East Japan Earthquake, we unfortunately had to postpone the event, with Your Majesty's kind understanding, until today, half a year after the earthquake. In the meantime, the wedding of Your Majesties the King and the Queen was held in October in your country, and we are delighted to be able to welcome Your Majesties soon after your wedding. After the Great East Japan Earthquake in March, Your Majesty the King graciously expressed your condolences and sympathy to me on two occasions and provided kind support to the Japanese Red Cross Society. On March 12, the day after the earthquake, Your Majesty hosted a memorial ceremony in Thimphu for the victims of the disaster, and other memorial services and various fund-raising activities were held across Bhutan. I would like to reaffirm our deep appreciation for the heartfelt sympathy and support that your country has extended to Japan. Looking back at our relationship, the first time the Empress and I met a member of the Royal Family of Bhutan was in 1975, when we attended the Coronation of the late King Birendra Bir Bikram Shah Dev of Nepal. At that time, we were Crown Prince and Princess. Bhutan's representative at the coronation was Her Royal Highness Princess Dechen Wangmo Wangchuck, who is your aunt and an elder sister of His Majesty former King Jigme Singye Wangchuck. Although she was still in her 20s at that time, all those attending the coronation were impressed by her dignified demeanor. We immediately developed a friendship with the princess and, before we left the country, we invited her to breakfast at the residence of the Japanese Ambassador to Nepal. Thirty-one years later, that is, five years ago, we met Your Majesty the King for the first time in Bangkok, Thailand - where flood damage is now raising grave concern - on the occasion of the ceremony to celebrate the 60th anniversary of His Majesty King Bhumibol Adulyadej's accession to the throne. I remember various events and scenes from the ceremony which I attended and watched together with Your Majesty, who was Crown Prince at that time, including a view of the beautiful royal barge that sailed down the Chao Phraya River. Your father, His Majesty former King Jigme Singye Wangchuck, attended the Funeral Ceremony of my father Emperor Showa, and the Ceremony of my Accession to the Throne, for which I am most grateful. I am delighted to learn that His Majesty is in good health. At the invitation of His Majesty, the Crown Prince and Prince and Princess Akishino have visited your country, and I am deeply grateful for the warm hospitality that they received from the royal family of Bhutan during their respective visits. This year marks the 25th anniversary of the establishment of diplomatic relations between our two countries. However, there have been mutual exchanges between our countries since before the establishment of diplomatic relations. A Japanese botanist, Professor Sasuke Nakao, spent several months in your country in 1958 and the following year wrote a book that provided the first full account of Bhutan in Japanese. It was through this book that the Japanese people learned about Bhutan, and I, too, remember reading and enjoying the book in my 20s. Professor Nakao was surprised and impressed to observe the commonality of the vegetation of the broad-leaved evergreen forests in Bhutan and Japan, as well as Bhutan's manners and customs and bountiful nature. He also made interesting observations relating to the common features of the traditional crafts and agriculture of our two countries, including bamboo work, lacquerware and handmade paper as well as terraced fields and rice-paddies and the planting of rice, wheat, barley, and buckwheat. 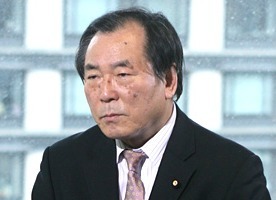 Another person we must not forget in the history of our two countries' mutual exchanges is Keiji Nishioka, who was sent to Bhutan in 1964 as an agricultural expert of the Colombo Plan. His Majesty the former King awarded Mr. Nishioka the honorable title of "Dasho" for his life-long contributions to the promotion of Bhutan's agriculture. I am heartened to hear that people who have inherited Dasho Nishioka's spirit now hold important positions in your country's government and related organizations and are playing an active role in the development of Bhutan's agriculture. 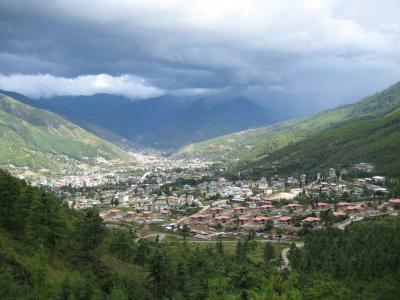 In the late 1990s, Bhutan started making preparations for a transition from an absolute monarchy to a constitutional monarchy, and succeeded in achieving a peaceful transition to a parliamentary constitutional monarchy in 2008. I would like to express my deep respect for the fact that during that process, Your Majesty the King made a tour of the whole country, first as Crown Prince then as King after your accession to the throne, to engage in dialogue with the people on the importance of democratization. Gross National Happiness, which was proposed by His Majesty the former King, has become a benchmark for the conduct of government policy in your country. Bhutan is promoting national development without placing excessive emphasis on economic growth and paying due consideration to traditional social values, culture, and conservation of the natural environment. In Japan, too, we realize that we have much to learn from this concept of Gross National Happiness. I strongly hope that Your Majesties' visit to Japan at this time will lead to further mutual exchanges and greater friendship between our two countries. In Japan, we are well into autumn, with leaves tinged in beautiful autumnal colours. I sincerely hope that Your visit will be a fruitful one that will leave Your Majesties with many wonderful memories. I would now like to propose a toast to the good health of Your Majesties the King and the Queen, and to the happiness of the people of Bhutan.